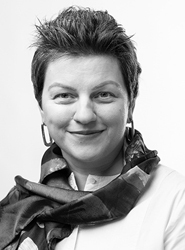 Milda Ališauskienė is an associate professor and head of Department of Sociology at Vytautas Magnus University, Kaunas, Lithuania where she teaches courses Sociology of Deviance, Contemporary Sociology of Religion, Religion and Politics. Her research interests include religion in post-socialist society, religious diversity, religious fundamentalism, new religious movements and New Age. She has published several articles on contemporary religiosity in Lithuania, focusing on New Age, the Art of Living Foundation, and Satanism, which are based on the material collected during her fieldwork. She has contributed to collective monographs and studies on social exclusion of religious minorities and on the process of secularization in Lithuania. She co-edited a volume “Religious Diversity in Post-Soviet Society”, that was published by Ashgate in 2011.